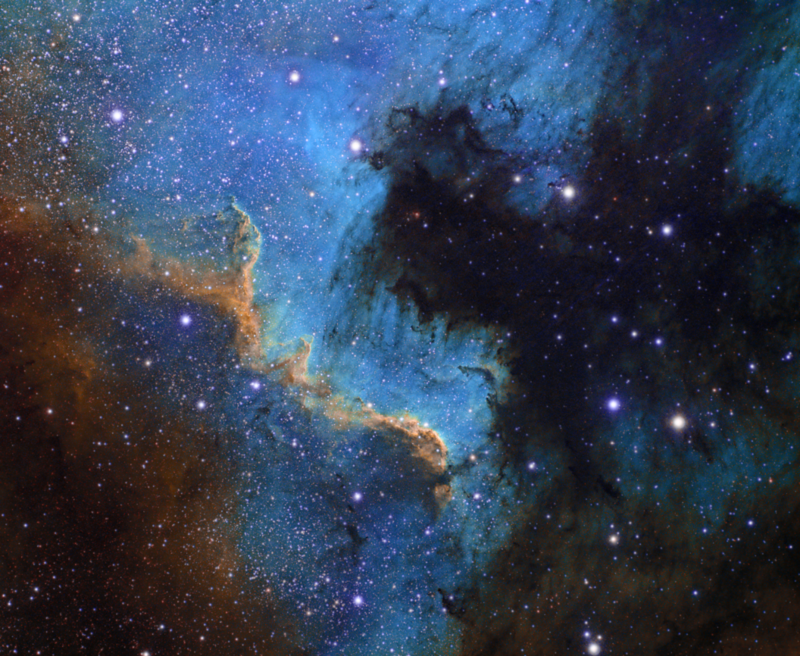 The Cygnus Wall is part of the North America Nebula (NGC7000). It is a huge cloud of ionized Hydrogen gas estimated to be 1,600 light years away and the location of some intense star formation. The darker region to the right of this image is not the empty background of space; we are looking at part of the Milky Way. Instead it is a cloud of dust which is blocking out the nebula and the stars behind it. Wow, that is one impressive image!!! I haven’t started imaging yet and have just read your amazingly helpful post on building an observatory but seeing this sort of result really is inspiring! I agree, this is very impressive. A huge amount of sub exposure time and a very beautiful result.